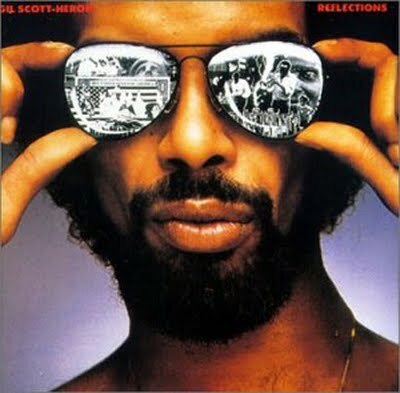 I’m sounding the alarm today, as many of us are still reeling about the news of the passing of one the most prolific poets and lyricists of our time, Gil Scott-Heron. Mr. Heron, an accomplished musician and author, epitomized what it meant to be a ‘Renaissance Man.’ His figurative and literal voice has shaped much of what we hear in the world of Hip-Hop. I could go on for days telling you about who he was or many of his life’s accomplishments, but I leave that research to you. (Especially if you aren’t familiar with his work; I encourage you to spend some time during this long Memorial Day weekend learning more about him and what he stood for.) Instead, this Samples vs. Originals post will help you begin your search, as it shares but a few of the spots where you will find traces of his influence. This should be enough to get you started. Happy learning fam and enjoy!